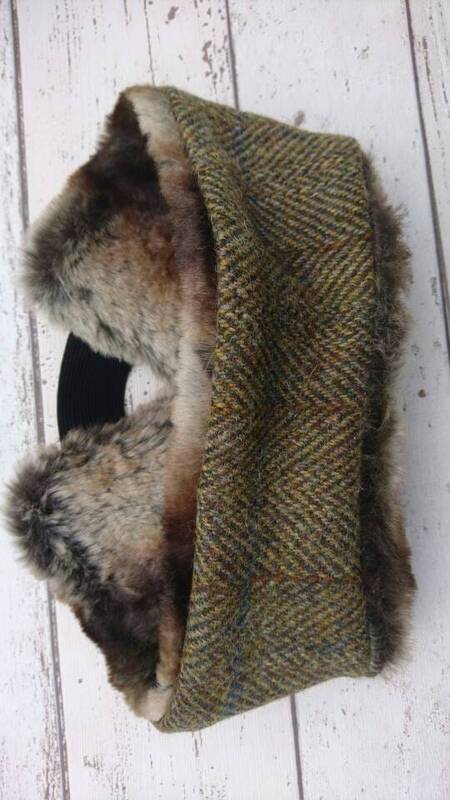 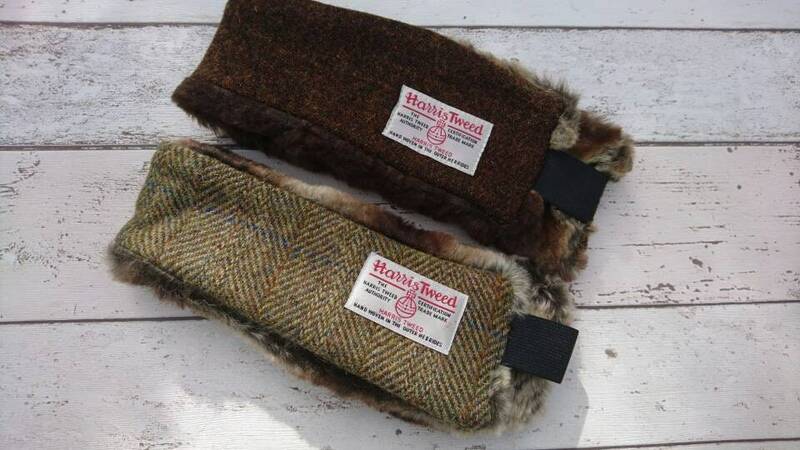 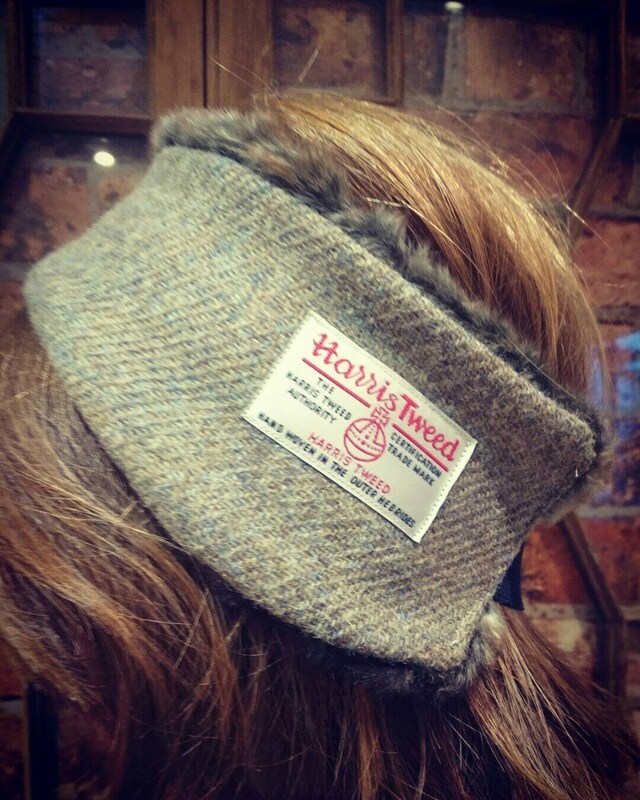 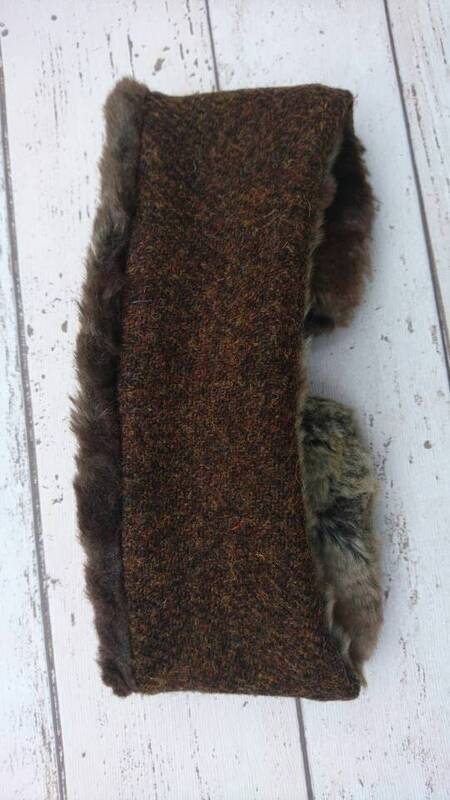 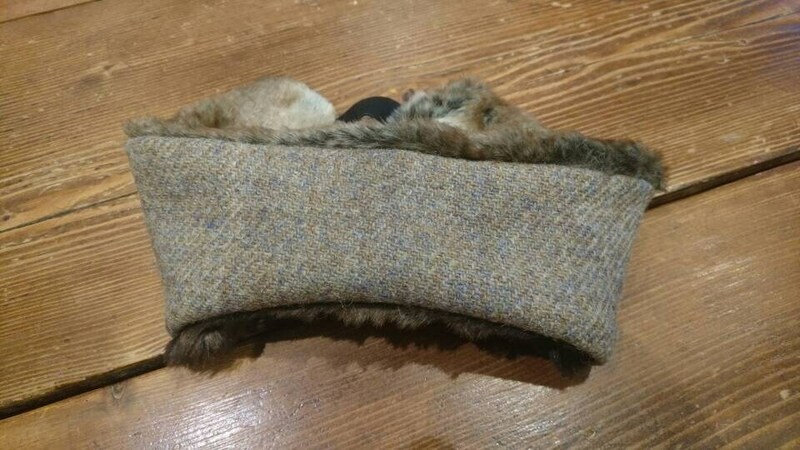 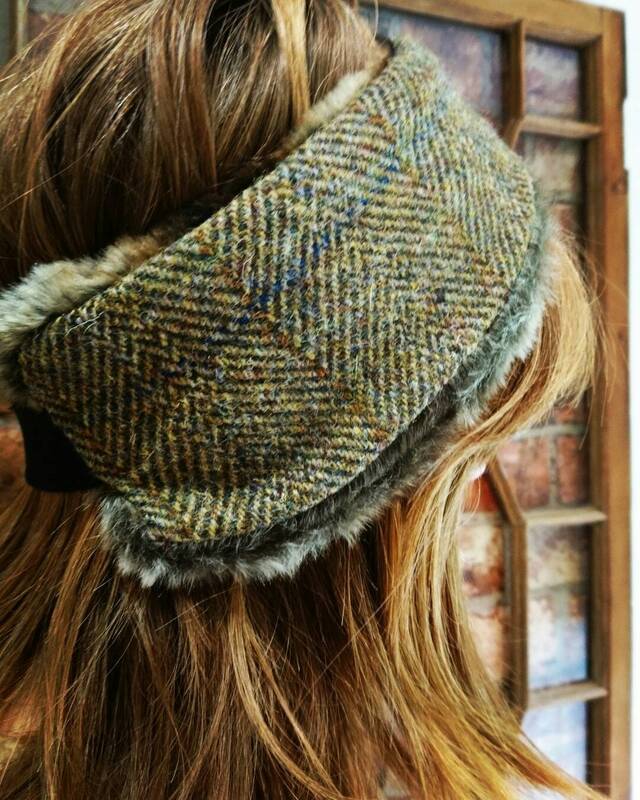 Beautifully handcrafted ear warmer/head warmer made out of Harris Tweed and faux fur. 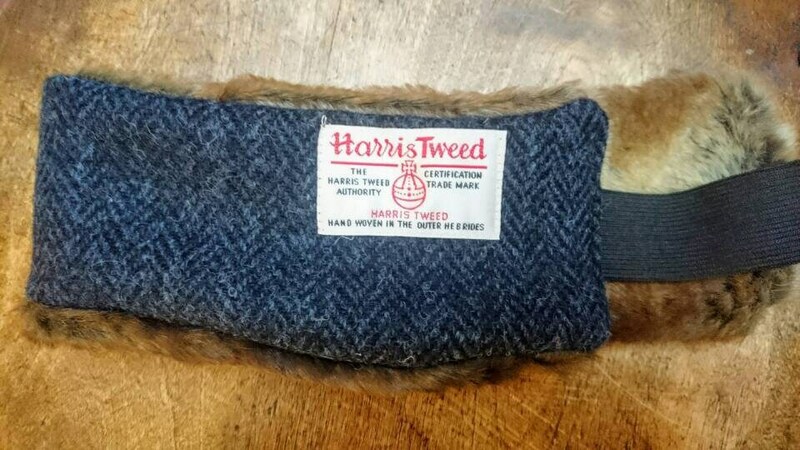 One size with elastic band. 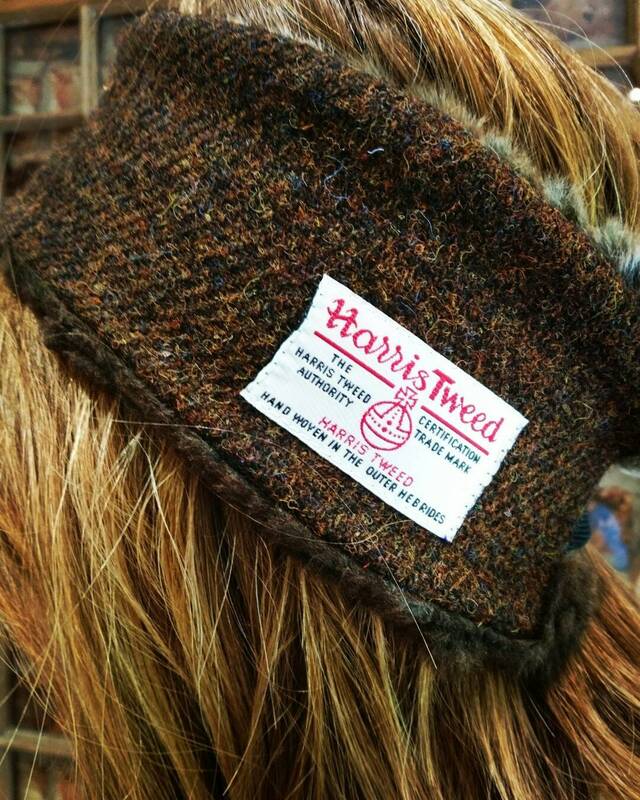 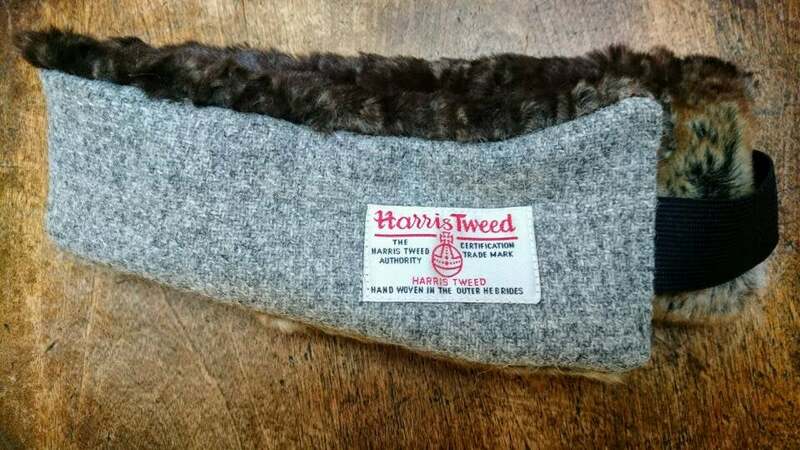 Harris Tweed Orb label has been sewn on the side.